Johnnie Lee Bass, 71, of Ridgeway passed away on Tuesday, October 9, 2018. Born in Kershaw County, he was the son of Bennie Bass, Sr. and Christine Rabon Gladden. 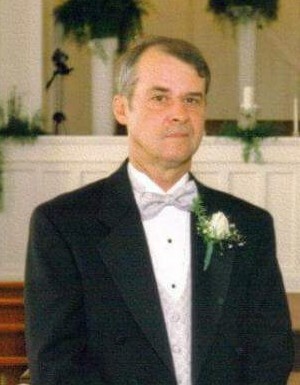 Johnnie is survived by two sons, Johnny P. Bass (Katherine) and Robert A. Bass; two daughters, Cindy A. Vernier (Paul) and Karen R. Bass (Kenny); two brothers, Bennie Bass, Jr. and Wayne Bass; one sister, Beulah Faye Truesdale (RB); and six grandchildren, Deanna Bass, Seth Bass, Natalee Vernier, Johnnie Cha Bass, Natasha Vernier, and Abigail Bass. In addition to his father and wife, Kyong Cha Kim Bass “Connie”, Johnnie is predeceased by an infant daughter. Funeral services with full military honors will be held at 2:00PM Friday, October 12, 2018 at Springvale Baptist Church, 1496 Springvale Road, Lugoff, SC 29078. Burial will follow in the church cemetery. The family will receive friends from 6-8 PM Thursday evening at Pope Funeral Home. Pope Funeral Home is assisting the Bass family.